Not everything is worse in the modern world. The last country star who was as successful as Darius Rucker was a man to avoid, the cliché dripping Garth Brooks, and the only other African-American to top the country charts with his debut single was pleasant but dull and equally avoidable Charley Pride. Darius Rucker is better than both, much better. Already, the statistics and awards are being cranked. His first three singles all achieved the number one spot on the country charts in the USA. Admittedly, his single and album title track, ‘True Believers’, peaked at number 18 but this lapse was immediately remedied with his stunning version of the Dylan song, ‘Wagon Wheel.’ It, too, hit the number one spot. Inevitably, Rucker has been drafted into the Grand Ole Opry and it happened a lot quicker for Darius than it did for Elvis and the rock and roll stars of the fifties. Times change. But anyone who thinks country music is the new rock and roll should take note. 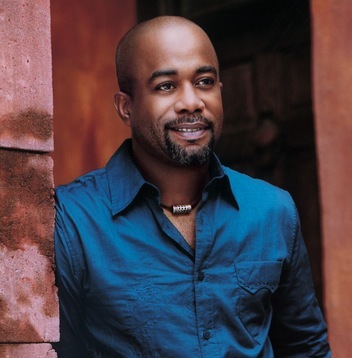 The country music career of Darius Rucker began when he was 42 years old. By then, Elvis was dead. Like Elvis but not to the same extent, Darius Rucker is versatile. He handles country, pop, folk and R and B material although the results are not as varied as one would expect. This may be due to modern producers rather than the talent of Rucker. Darius Rucker has not only appeared at the Grand Ole Opry but in the nightclubs of BB King. Not what we imagine by paying your dues perhaps but it demands real respect. His first Nashville album, ‘Learn To Live’, sounds the nearest to what European purists imagine as American country music. But that only means it can be more easily compared to the still commercial Dwight Yoakam. His album, ‘Charleston S.C. 1966’, features an almost prominent banjo but it appears as a cynical addition when surrounded by contrived production values. At least, ‘Learn To Live’ had songs that suggested the possibility of failure. His last album, called significantly ‘True Believers’, has great moments but it not only suffers from slick production values and predictable soaring choruses but it is also weighed down by relentless optimism. Despite all that, the terrific tonsils of Rucker make it essential. Frank Sinatra asked Rucker to sing at his 80th birthday party and it is fair to assume that Sinatra would appreciate a talented singer. To say Rucker has a voice that compares to Lionel Ritchie is not inaccurate but that makes the new country superstar sound blander than he is. More sensible is to think of the vocalist of Kool And The Gang, the great and underrated James ‘JT’ Taylor. Like him, Rucker not only has a delivery that is pleasant but he possesses a subtle growl, which makes his performances irresistible. All the great singers have timing and understand the importance of adjusting the throttle. Mastery and the best results require superb breath control. Darius Rucker has it which means he possesses enough potential to dream of immortality. But number ones and millions notwithstanding, he needs to be wary. Recently, ‘Rolling Stone’ magazine published a list of the great American singers. The first three were, in this order, Aretha Franklin, Ray Charles and Elvis Presley. All had fabulous voices but equally important all understood the importance of misery. If Rucker is not careful, this realisation may pass him by and his memory will be short-lived. He is making a lot of money and married, if his songs are to be believed, to a woman he adores. Actually, there is hurt in the life and past of Rucker and it surfaced in a song that he recorded before his mega success. In ‘Where Were You?’ Rucker refers to his father with obvious bitterness. The title says it all. His father was a singer in a gospel band and presumably enjoyed a life that his family was unable to share. And that may be putting it kindly. 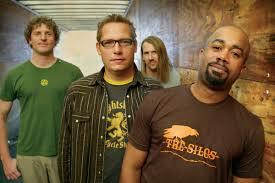 The song was recorded when Rucker was in the folk rock band, Hootie And The Blow Fish. The gospel band of his father was called ‘The Rolling Stones’ and I defy anyone to make sense of that. Rucker has also sung about the grief that followed losing his mother. He grew up in an extended family that was obliged to share one house. The family contained a grandmother and 14 children. Rucker says he remembers his childhood as poor but happy. The loyalty to his mother and the subsequent anger has obvious roots as did his need to make a musical protest about the flying of the Confederate flag above the State House in his native South Carolina. But anger and despair has been confined to his days with Hootie And The Blow Fish. Since then, the career of Darius Rucker in modern country music has required content rooted in will and affirmation. Presumably, a myopic imagination is what sells today. Yet it is difficult to understand from the remoteness of Europe how the taste of American country fans has shifted from the nightly moans of manic nihilism to breezy optimistic purpose. For example, on the album, ‘True Believers’, there is the usual drinking country song but instead of an alienated boozer with a will sapped by self-hatred, which is how greats like Merle Haggard and George Jones admitted to the truth about their demons, we now have a song that is newly discovered defiant working class libertarianism, something which in its own way is as dreamy as 60s hippie nonsense used to be. In ‘I Don’t Drink And I Don’t Care’, Rucker can only imagine indulgence without consequence. Of course, hard working superstars do not believe a word of it. Instead, the listener has a strong sense of Rucker sitting amidst comfort and adoration thinking, as he composes the song, what the hell do I say about drinking. Supposedly, Darius Rucker has watched the film, ‘Stir Crazy’, a 100 times. This light-hearted comedy is the American equivalent of the much more controversial ‘Life Is Beautiful’. Both films insist that happiness can prevail whatever the circumstances. In ‘Stir Crazy’, harsh prison life is overcome, and in ‘Life Is Beautiful’ it actually occurs in a concentration camp. Both were ridiculous but the latter, not surprisingly, offended memories and sensitivity. 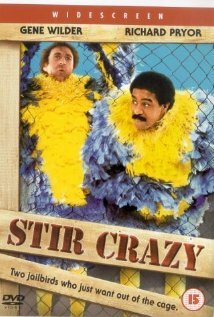 Forgetting ‘Life Is Beautiful’, we have to suspect a clue in Rucker obsessively watching ‘Stir Crazy’. Apart from his considerable vocal talent, Rucker may only have happiness to sell. Either he is no more than a competent songwriter who lacks inspiration or this is his nature. On his most recent album, the song, ‘Lie To Me’, explores the familiar territory that is the desire for deceit from the faithless female rather than heart-breaking truth. Rucker sings the song as if he believes deceit will not only avoid despair but also provide joy and fulfilment in the way imagined in the simple-minded prison movie he so admires. He would benefit from a short course in the 2 American dramatists, Eugene O’Neill and Edward Albee. In ‘Who’s Afraid Of Virginia Wolf’ Albee argues that illusion is destructive while O’Neill in ‘Long Day’s Journey Into Night’ claims that it is essential for survival. Neither, though, claims that relationships based on lies will prove fulfilling. And to be fair neither does Rucker, he just sounds so damned cheerful. This quality has to be mitigated or it will mean a premature end for a talent that has a lot of potential. If the comparison with intellectual American dramatists is not really valid, it does make the point. Hard headed realism and the acceptance of failure and disappointment are important. Aretha, Ray Charles and Elvis understood. Let us keep our fingers crossed for likeable Darius. To be undermined by a cheerful nature is a rare occurrence in American country music but this does not mean it should be welcomed. A tragedy is a tragedy after all. If you want to read about Elvis, American music and a lot more click here. A very interesting piece about a singer whom I have only recently discovered. The voice is excellent and although the songs do tend to reflect a certain positive outlook, they certainly help the ironing task along!